Download the PDF from Trivantage.com. 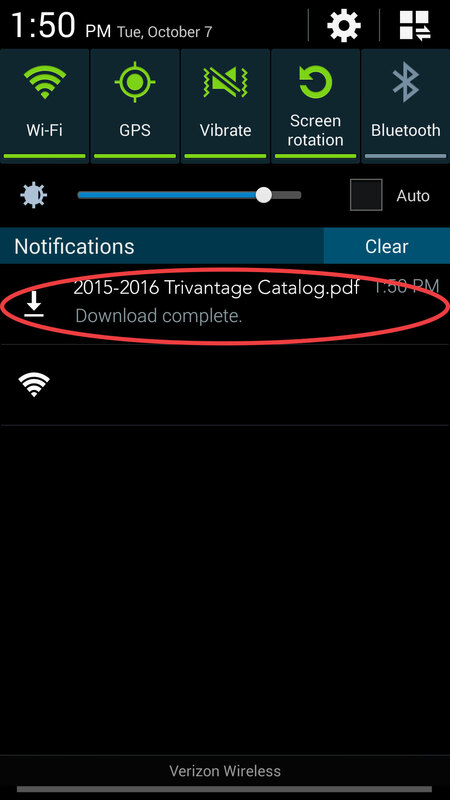 Go to your device's notification center and click on the notification for the PDF 2015-2016 Trivantage Catalog PDF. 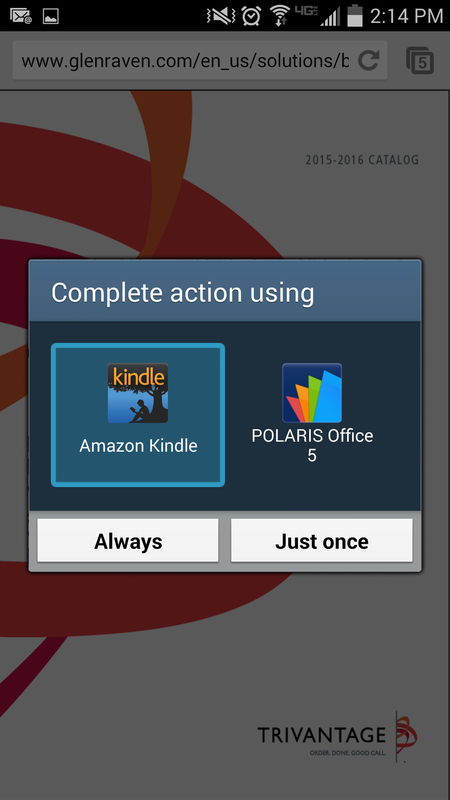 Open the PDF in your preferred PDF read, such as Kindle.